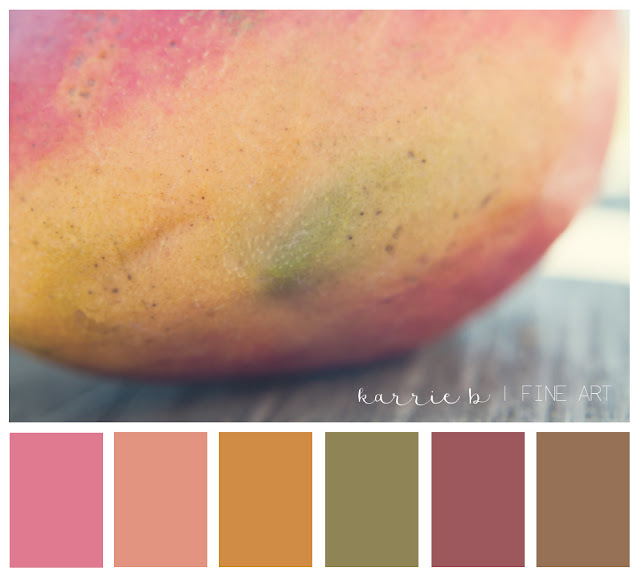 Today's color bar is inspired by my love for mangoes, also called "King of the Fruits"! The nutritional value of this fruit is unbelievable. I wish every season was mango season, but only one more month to wait. If you're interested in the macro shot of this delicious mango, you can find it here. Interested in the nutritional value of the mango? Click here for an article from Medical News Today.